The enchanting mermaid remains in our imagination reflecting our innate fear and desire for the unknown. 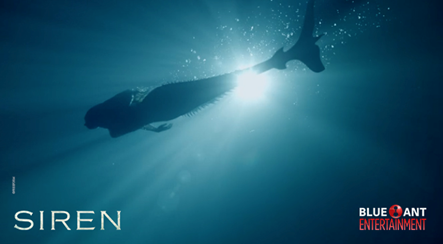 In the American drama series Siren, this fear and desire come to life when mermaids suddenly surface to cause chaos in the fictional coastal town of Bristol Cove. Ever wondered how the world would react today if folklore turned out to be real? Catch the popular American drama series Siren every Monday at 9:45PM (8:45PM JKT/BKK) first and exclusive on Blue Ant Entertainment, channel 473 on unifi TV.